A stay at Cayo Espanto is about discovering the tropical islands and enjoying the water. Although most of our guests come to Cayo Espanto to relax in privacy, there are others who spend their time exploring – by land or sea. You can choose to explore the world’s second-largest barrier-reef system, where the diving is exceptional. You can also go bonefishing, partake in water sports off the beach, like windsurfing or catamaran sailing. We also offer bird watching tours, private cruises, picnic excursions or exotic jungle tours. Scuba Diving the second largest barrier reef in the world is not to be missed. Cayo Espanto is within 15-20 minutes of some of the world’s best and most famous dive sites. Private trips are easily arranged. Guests who wish to dive the Blue Hole should choose a private charter that our staff will be happy to arrange for you. Our Dive Masters are available for private charter trips all along the reef. 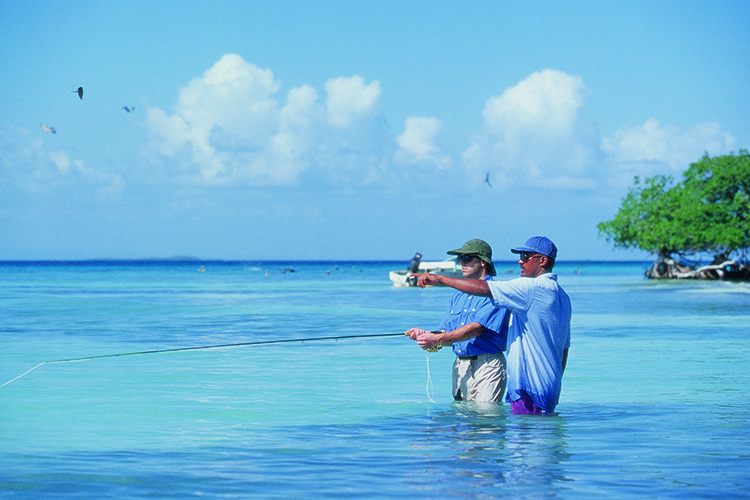 Fly fishing is always a favorite activity for guests of Cayo Espanto Hundreds of bonefish have made their home around Cayo Espanto, and with your houseman spotting fish for you, we gurantee great success all around the island. The hard sea-bottom immediately around the island provides for unusually easy wading. In addition to wading around the island, guests may hire a guide and boat for some wonderful flats fishing for bonefish, tarpon and permit. 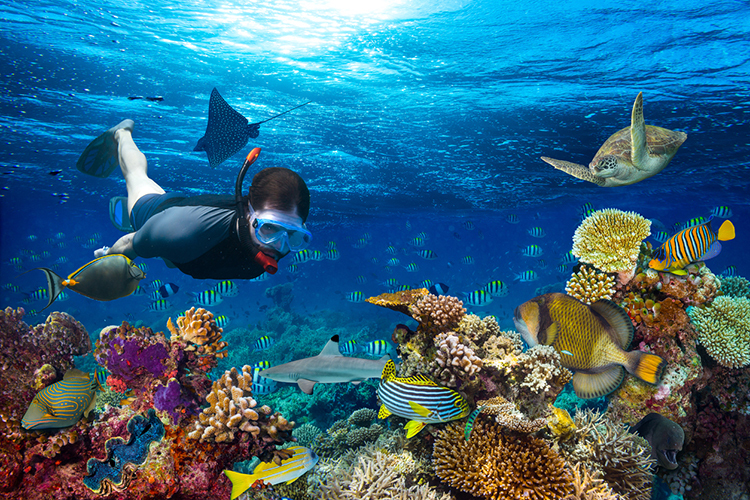 Snorkeling in Hol Chan, Belize’s National Marine Park, has been named by USA Today as one of the world’s top ten snorkeling sites. Private charters to Hol Chan are available and our staff is happy to plan every detail. 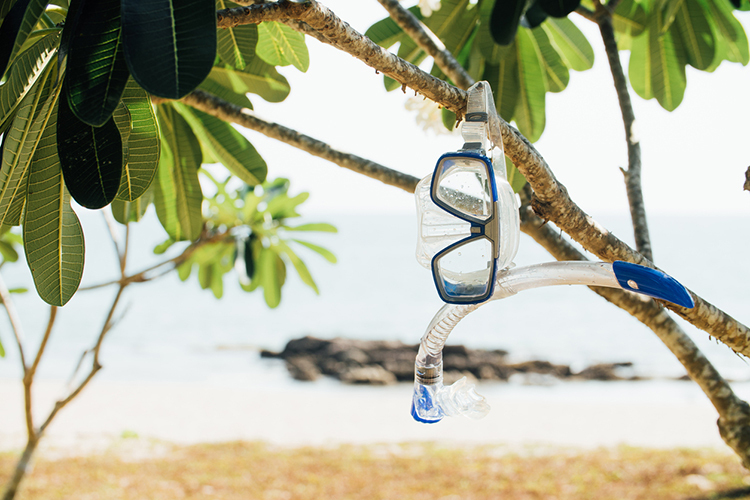 Prices run about $325.00 for a private snorkel trip for two. This is a must do when at Cayo Espanto. This is a truly unforgettable experience with our dive guides exploring the amazing underwater world below. Trips to nearby protected islands, Cayo Rosario and Bird Caye, are amazing experiences for all. These islands are very close to Cayo Espanto and are home to many types of birds. (spoonbill, pelican, frigates just to name a few). The adventure allows guests to walk around and through mangrove. 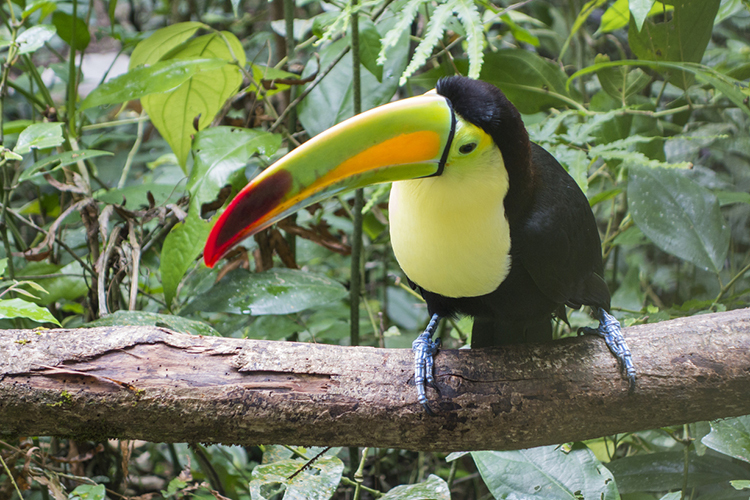 This tour is highlighted by the Belize Audubon Society. 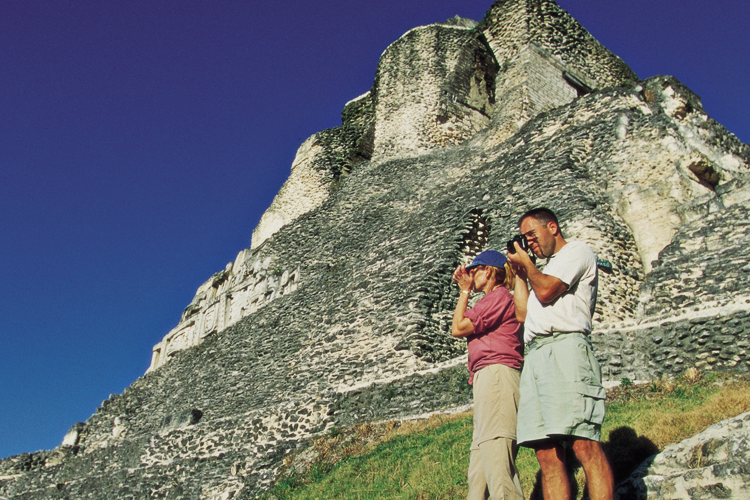 Daily excursions to the mainland of Belize offer fantastic adventure opportunities. Mayan ruins include Altun Ha, Caracol (pictured), Lamanai, and Xunantunich, and are a must see. River trips and visits to inland spas are included along the way. The incredible mayan civilization left huge remains that are accessible through incredible jungle forest. Visitors will find many types of birds, reptiles, and plants and flowers of incredible diversity. How about a gourmet picnic lunch on a deserted beach for just the two of you? 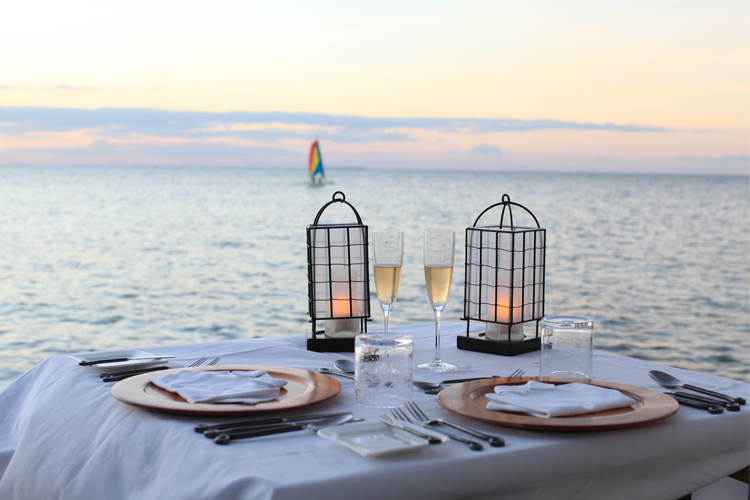 We will send an advance team to prepare the perfect romantic lunch site. Afterwards, we will deliver you to your paradise. Stay as long as you like and we will pick you up at a pre-determined time. Or, if you prefer, take our cellular phone and give us a call (we are only 10 minutes away).